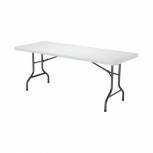 Jemini White 1830mm Folding Rectangular Table KF72330 Pack of 1 Jemini Folding Table. Colour - White. Non returnable. 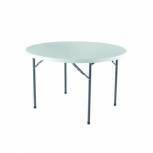 Jemini White 1200mm Folding Round Table KF72331 Pack of 1 Jemini Folding Table. 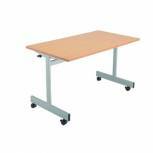 Lightweight, portable folding leg table manufactured from dent, scratch, moisture resistant high density plastic. Diameter 1200 x H740mm. Colour - White. Non returnable. 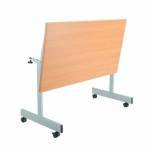 Arista 2400mm Boardroom Table Top And Modesty Panel Pk Beech KF72361 Pack of 1 Table top and modesty panel for Arista boardroom table. Combine with leg pack (KF72364) for complete table. Sturdy and reliable for long-lasting use. Width: 2400mmFinish: Beech. Non returnable. Arista 2400mm Boardroom Table Top And Modesty Panel Pk Maple KF72363 Pack of 1 Table top and modesty panel for Arista boardroom table. Combine with leg pack (KF72366) for complete table. Sturdy and reliable for long-lasting use. Width: 2400mm. Finish: Maple. Non returnable. 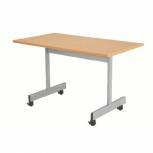 Arista 2400mm Boardroom Table Legs Pair Beech KF72364 Pack of 1 Pair of legs for Arista boardroom table. Combine with table top and modesty panel (KF72361) for complete table. Sturdy and reliable for long-lasting use. Width: 2400mm. Finish: Beech. Non returnable. Arista 2400mm Boardroom Table Legs Pair Maple KF72366 Pack of 1 Pair of legs for Arista boardroom table. Combine with table top and modesty panel (KF72363) for complete table. Sturdy and reliable for long-lasting use. Width: 2400mm. Finish: Maple. Non returnable. 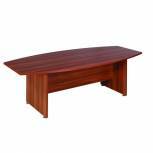 Avior Cherry 2400mm Boardroom Table KF838263 Pack of 1 Avior Boardroom Table. Executive, boat shaped table; a high class addition to any meeting room. Dimensions - W2400xD1200xH750mm. Finish - Cherry. Non returnable. Avior Ash 2400mm Boardroom Table KF838264 Pack of 1 Avior Boardroom Table. Executive, boat shaped table; a high class addition to any meeting room. Dimensions - W2400xD1200xH750mm. Finish - Natural. Non returnable. 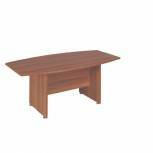 Avior Cherry 1800mm Boardroom Table KF838265 Pack of 1 Avior Boardroom Table. Executive boat shaped table a high class addition to any meeting room. Dimensions - W1800xD1000xH750mm. Finish - Cherry. Non returnable. Avior Ash 1800mm Boardroom Table KF838266 Pack of 1 Avior Boardroom Table. Executive boat shaped table a high class addition to any meeting room. Dimensions - W1800xD1000xH750mm. Finish - Natural. Non returnable. 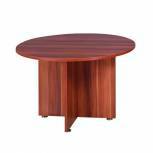 Avior Cherry 1200mm Round Meeting Table KF838267 Pack of 1 Avior Executive Circular Table. A stylish round table with cruciform base. Ideal for use as an informal meeting or breakfast table. Dimensions - Diameter 1200mm x Height 750mm. Finish - Cherry. Non returnable. 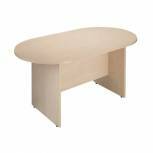 Avior Ash 1200mm Round Meeting Table Ash KF838268 Pack of 1 Avior Executive Circular Table. A stylish round table with cruciform base. Ideal for use as an informal meeting or breakfast table. Dimensions - Diameter 1200mm x Height 750mm. Finish - Natural. Non returnable. 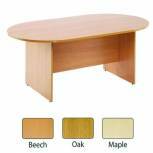 Arista Beech 2400mm Boardroom Table KF838283 Pack of 1 Arista Boardroom Table. Traditional D-End table, a stylish addition to any boardroom. Dimensions - W2400xD1200xH730mm. Finish - Beech. Non returnable. 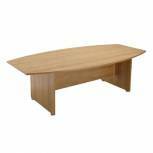 Arista Oak 2400mm Boardroom Table KF838284 Pack of 1 Arista Boardroom Table. Traditional D-End table, a stylish addition to any boardroom. Dimensions - W2400xD1200xH730mm. Finish - Oak. Non returnable. Arista Maple 2400mm Boardroom Table KF838285 Pack of 1 Arista Boardroom Table. Traditional D-End table, a stylish addition to any boardroom. Dimensions - W2400xD1200xH730mm. Finish - Maple. Non returnable. Jemini Beech 1200mm Flip Top Table KF838319 Pack of 1 Jemini 1200mm Flip Top Table. Fold away top allows for compact storage. Can be used individually or in groups. Colour: Beech. Dimensions: W1200 x D650 x H730mm. Non returnable. 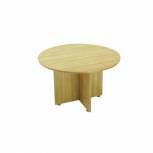 Jemini Oak 1200mm Flip Top Table KF838320 Pack of 1 Jemini 1200mm Flip Top Table. Fold away top allows for compact storage. Can be used individually or in groups. Colour: Oak (image shows Beech). Dimensions: W1200 x D650 x H730mm. Non returnable. Jemini Maple 1200mm Flip Top Table KF838321 Pack of 1 Jemini 1200mm Flip Top Table. Fold away top allows for compact storage. Can be used individually or in groups. Colour: Maple (image shows Beech). Dimensions: W1200 x D650 x H730mm. Non returnable. Jemini Beech1600mm Flip Top Table KF838322 Pack of 1 Jemini 1600mm Flip Top Table. Fold away top allows for compact storage. Can be used individually or in groups. Colour: Beech. Dimensions: W1600 x D650 x H730mm. Non returnable. 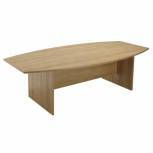 Jemini Oak 1600mm Flip Top Table KF838323 Pack of 1 Jemini 1600mm Flip Top Table. Fold away top allows for compact storage. Can be used individually or in groups. Colour: Oak (image shows Beech). Dimensions: W1600 x D650 x H730mm. Non returnable.